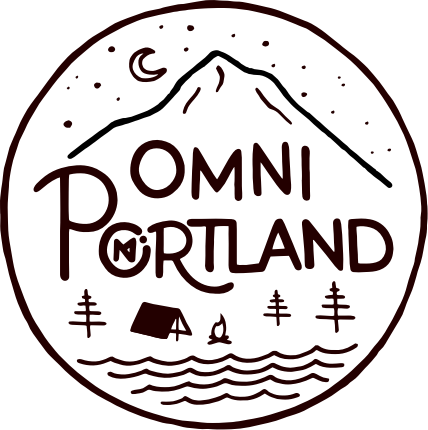 Allow us to introduce ourselves, Portland — we’re Omni. When we landed on Portland as our second city, we knew we wanted to collaborate with a local artist on a piece that would capture the city’s vibe and our ethos of experiences over things. Enter Colt Bowden, illustrator and sign painter extraordinaire. Together with Lead Designer Eric Campbell, Colt brought our idea to life with hand lettering and a charming camping scene. Colt Bowden (right) painting in his studio. You’re one of the lucky few who get to do art for a living. How did that come about? I’ve wanted to be an artist since kindergarten. I went to school for illustration and have worked hard to create consistently good work since then. That, and word of mouth, are how I’ve been able to grow my business over the years. I’m lucky, Portland is the perfect proving ground for artists. When a brand approaches you to create a logo or signage for them what’s your process like? Most brands come to me with an idea and examples. With Omni in particular it was a collaboration — we found lettering we liked and developed the look of the design around that. What inspired your art for Omni Portland? Beyond the city’s geography, with Mount Hood in the background, Portland is a city that’s a lot more centered on the outdoors than basically any other on the West Coast. Camping embodies the ideal of getting away from the business of life and all the things that surround us and simplifying for a while, which I felt resonated with Omni’s brand message. 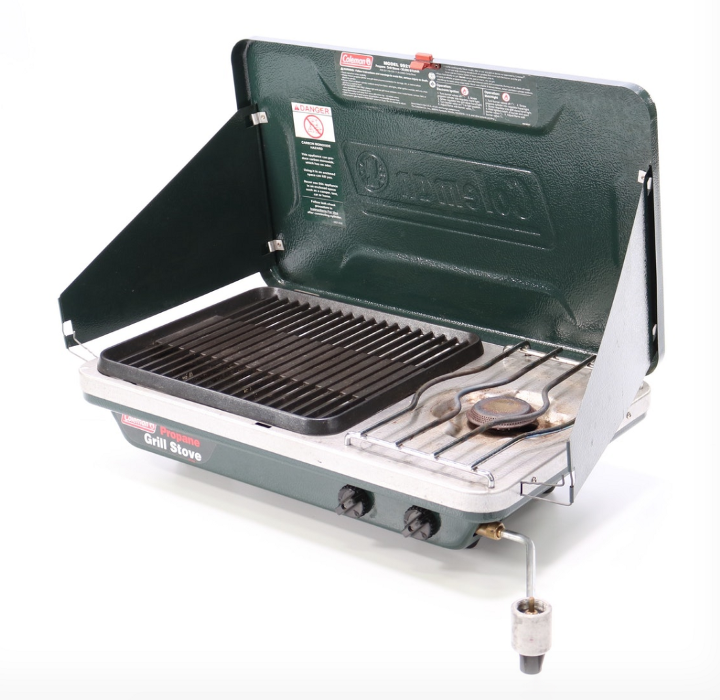 A grill stove available to rent for $5/day on Omni. Plus when you go camping there’s also a lot more community involvement. It’s a lot easier to love your neighbor when you’re camping. And not everything is permanent which also plays into Omni’s rentals service nicely. Beyond camping equipment of course, what are you excited to rent from Omni? All sorts of things! Old video game consoles like a Sega Genesis, things for an 80’s themed party, things we only need seasonally… I hate storing summer things in the winter and having them get all dusty and crusty. 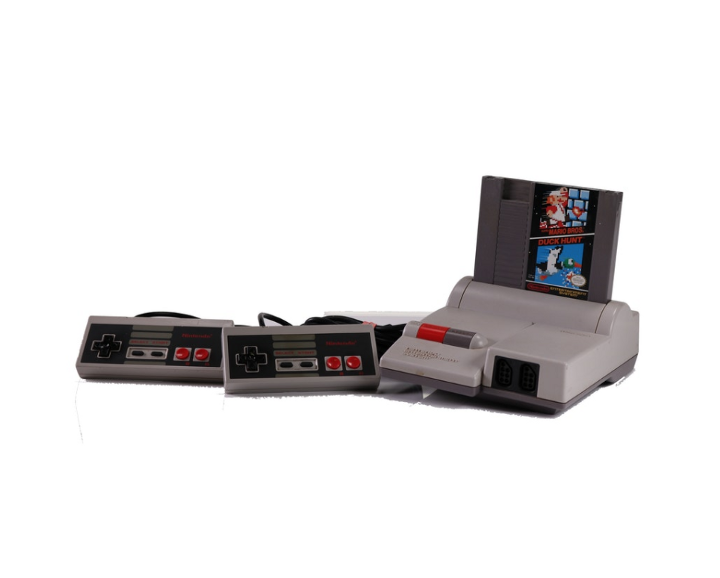 A Nintendo Entertainment System available to rent for $10/day on Omni. Oh, and a double wide stroller. That’s useful for a day or a weekend but annoying to have to travel with and not necessary to own day-to-day. Which Drone Rental is Right for You? To start renting things in your city, visit BeOmni.com or download Omni Rentals & Storage on iOS. Use code MEDIUM10 to get $10 off your next borrowed item. Have a question? Reach out at hello@beomni.com and make sure to follow us on Facebook, Twitter, and Instagram.